The Ball Chair by Eero Aarnio was created when Eero was thinking about a chair that would have enough place for his wife and two daughters. Being a fan of minimalism, Eero proceeded by removing all the edges. Eero Aarnio achieved his breakthrough as a designer at the international Furniture Fair in 1966 in Cologne, as the Ball Chair, sometimes called the Globe Chair, attracted the attention of experts. 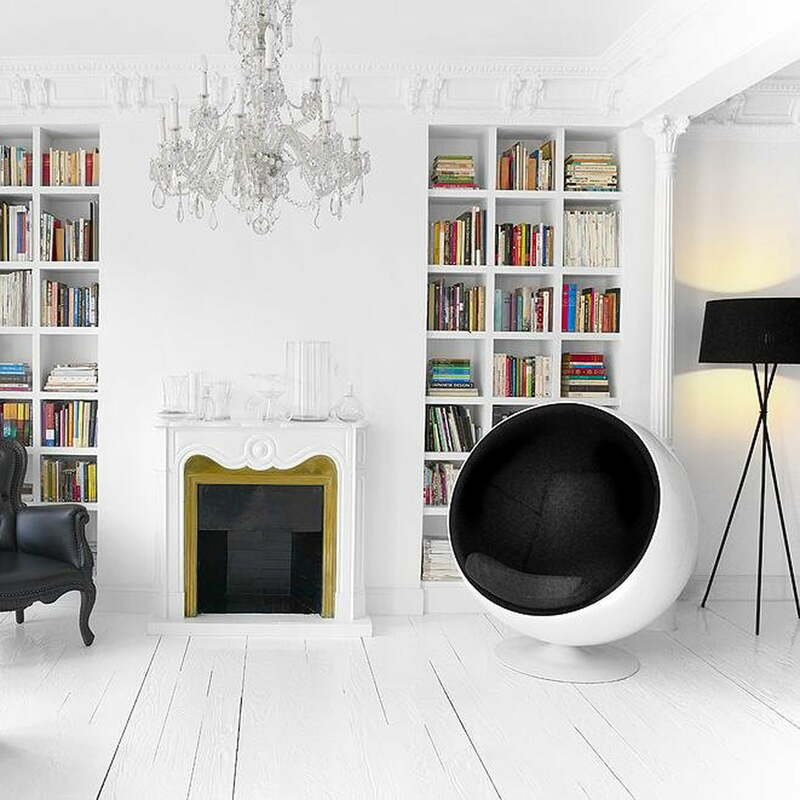 In 1966 the Ball Chair was presented at the international furniture fair in Cologne. In its brochure, the Vitra Design Museum described the Designer Chair as a creation between furniture design and architecture, a view which is also reflected in Eero Aarnio’s dictum that the chair is "a space within a space". Since that time the design of the Ball Chair has lost none of its topicality - on the contrary, it has influenced, inspired and co-created many generations. The secret of its success is the simplicity of the geometric shape of the ball. In nature, it stands for stability and balance, perfection and beauty, but also for power, energy and infinite complexity in mathematics. Finally, in philosophy, it represents the human striving for knowledge and accomplishment. The Italian painter Giotto is said to have been able to draw a perfect circle by hand. 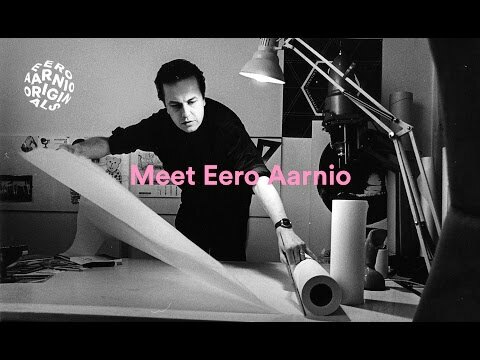 Watching Eero Aarnio design his master pieces would have certainly given him much pleasure. In order to test the dimensions of the chair, he painted a circle in the original size of the chair and tried out the movements, which then led him to the correct size of the ball. It should be comfortable to get in and out of; however, the finished ball Chair should fit through a door - a balance that was achieved by constant trial and error. The ball Chair is made from a fiberglass shell and polyurethane foam cushions covered with Kvadrat upholstery in different colors. 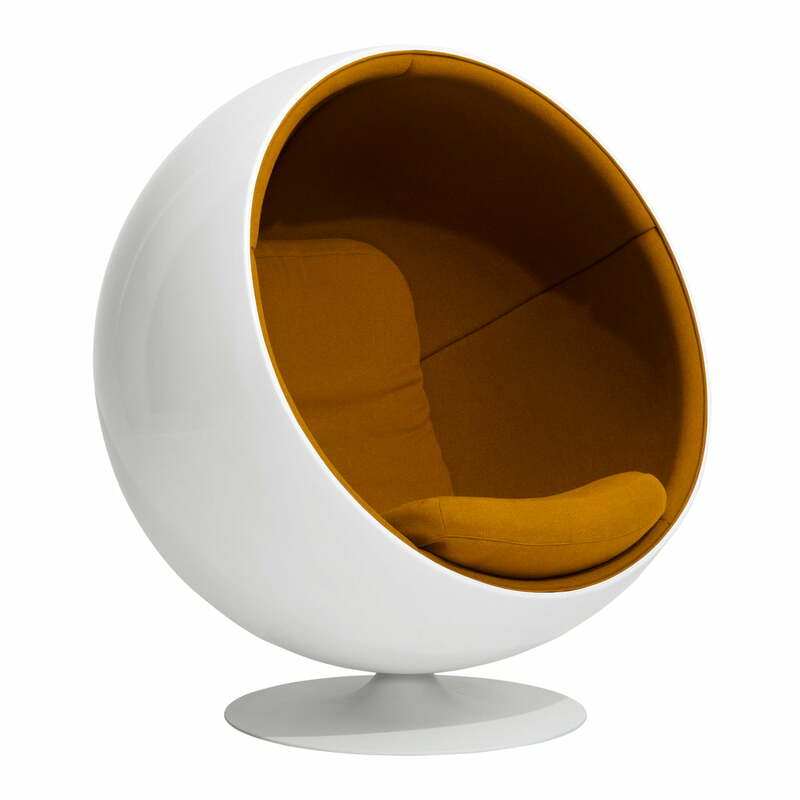 Image of the Ball Chair by Eero Aarnio Originals in orange (Hallingdal 65 /547). The Kvadrat upholstery consists of 70% pure new wool and 30% viscose. The Ball Chair by Eero Aarnio was created when Eero was thinking about a seat that would have enough place for his wife and two daughters. Being a fan of minimalism, Eero proceeded by removing all the edges.